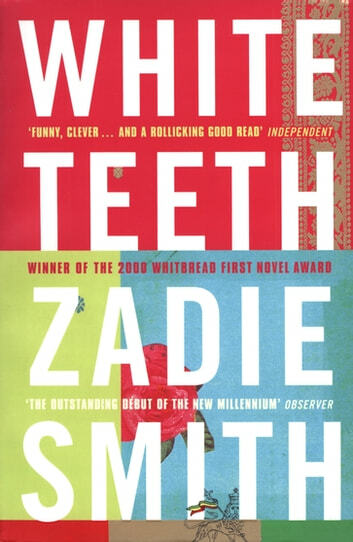 One of the most talked about debut novels of all time, White Teeth is a funny, generous, big-hearted novel, adored by critics and readers alike. Dealing - among many other things - with friendship, love, war, three cultures and three families over three generations, one brown mouse, and the tricky way the past has of coming back and biting you on the ankle, it is a life-affirming, riotous must-read of a book. Had potential but never reached it fully. 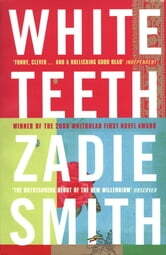 When I first started reading this book I was completely encapsulated with it. I loved how the first few chapters were written; the story really snagged me in and the characters were intriguing. After that however, I found many parts throughout the book failed to capture my attention the way the beginning did. Don't get me wrong, I was able to finish it and the story carried on well enough for me to do so but I found that I just wasn't interested in most of the characters, this made some chapters a little dull and difficult to get through. I found near the end of the book I was wishing that the character Archie, who was the first to be introduced, would've been featured a lot more. If I buy it, I have to read it and this book has been in my library for quite a while. It was okay, while I appreciated the premise of the book, I would have preferred more character development on the twins, specifically the one who was sent 'home' & what caused the angst in the one that remained & would have liked to read more about Archie. As noted In the review title, this book bored me so much that I did not finish.